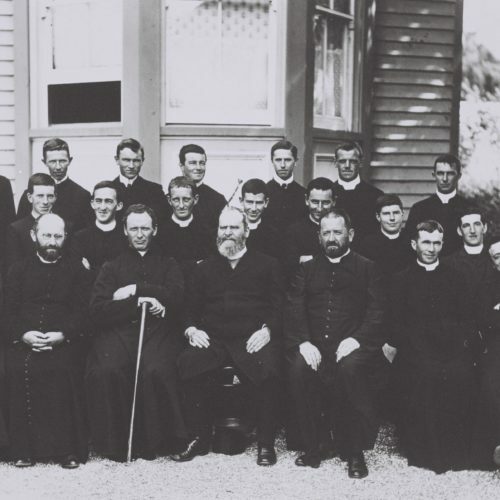 Our story begins with a group of French Missionaries who sailed to New Zealand in 1838 with little more than their faith and a few vines. 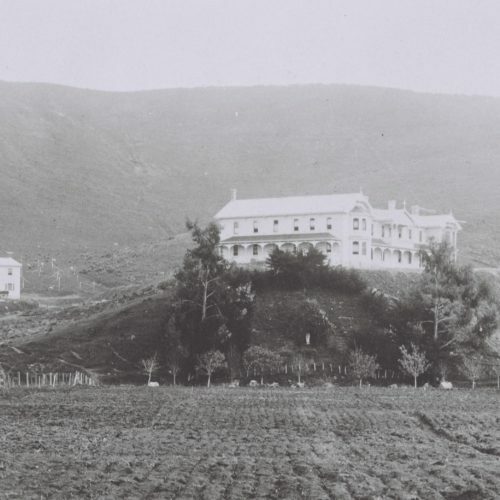 Mission Estate was established by these Missionaries in Hawke’s Bay in 1851, where vines were planted to produce both sacramental and table wine and New Zealand’s first winery was born. 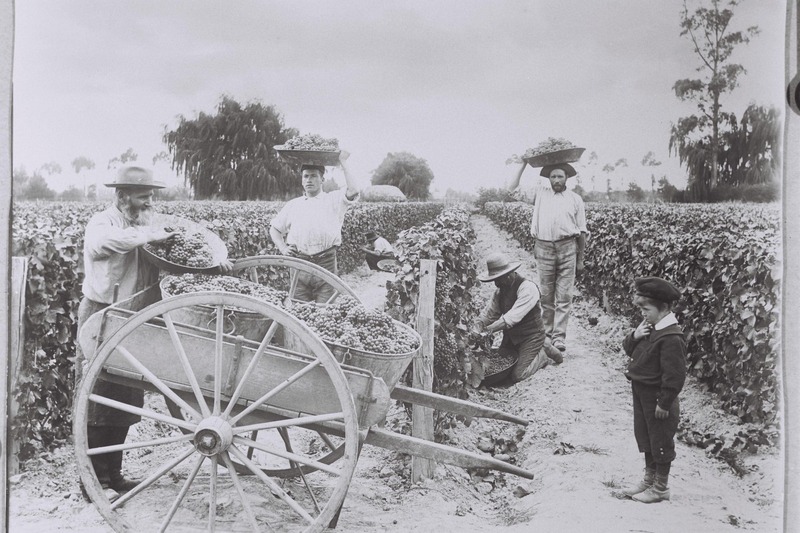 The first record of a commercial sale dates back to 1870 when a parcel of mostly dry reds was sold. 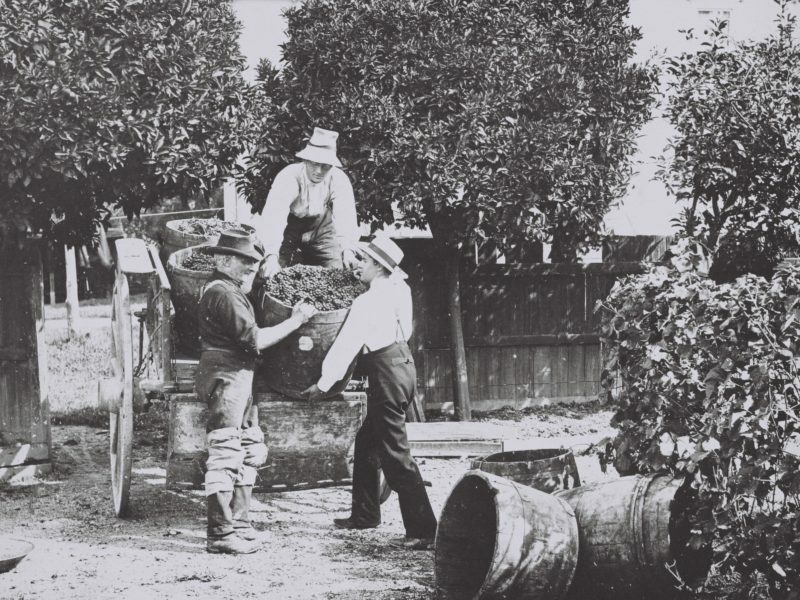 If visiting La Grande Maison of Mission Estate, as you progress down the driveway, there is still one row of Muscat grapes that have been grafted over the years from the very original stock bought to Hawke’s Bay by the Marist Fathers. 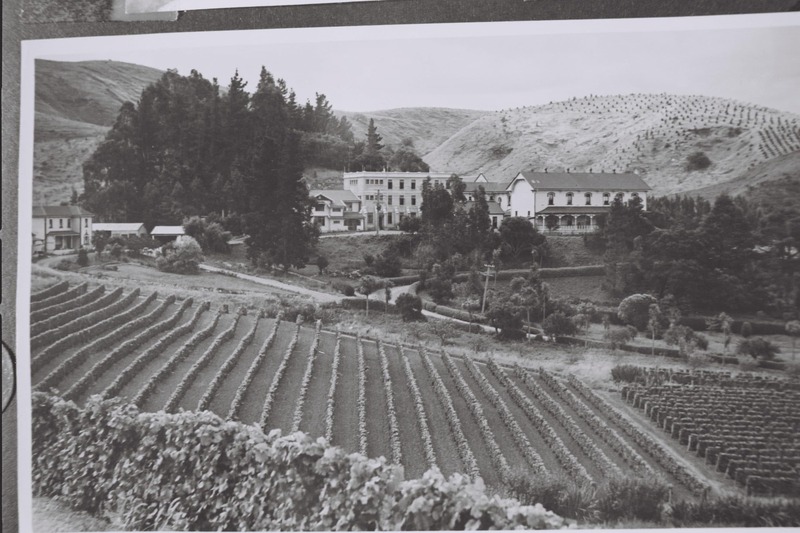 Mission Estate Winery has a fascinating past, surviving everything from floods to earthquakes, cutting the building into 11 parts and transporting it to its current site in Taradale using traction engines, all the while planting and growing grapes in Hawke’s Bay. 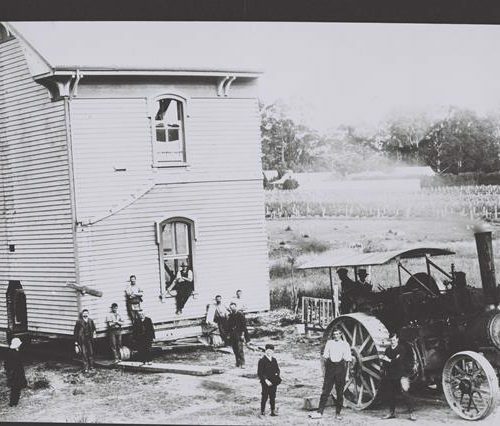 Check out some of the historical images below to follow our story. 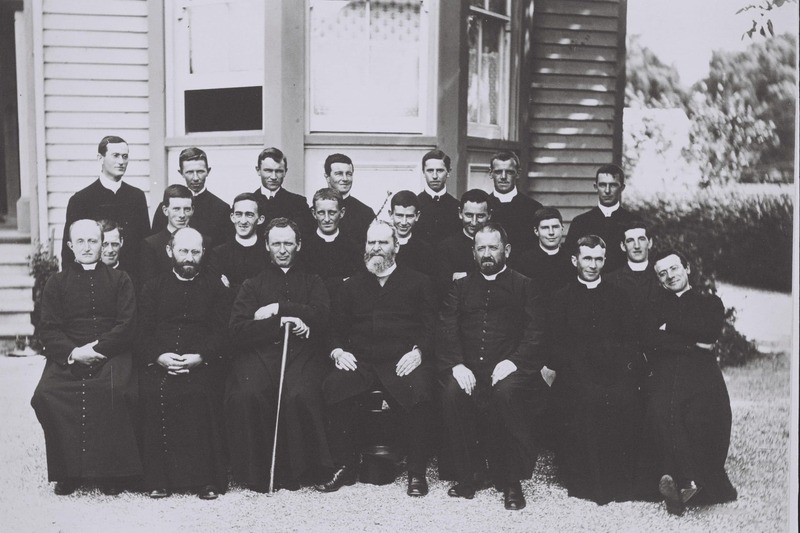 Mission’s story begins with a group of French Missionaries. 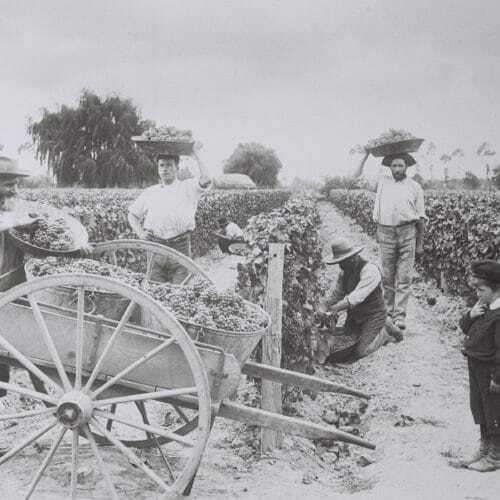 In 1838, with the blessing of the Pope, they sailed to New Zealand with little more than their faith, generations of wine making experience and a few precious vines. 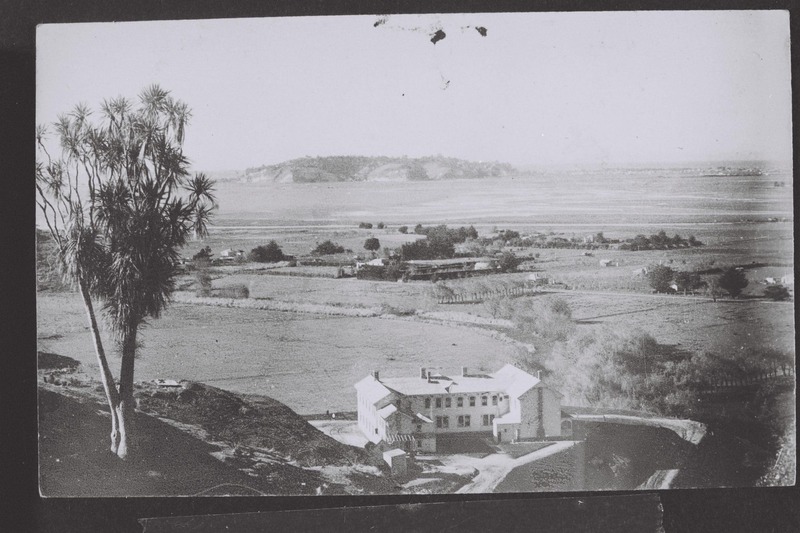 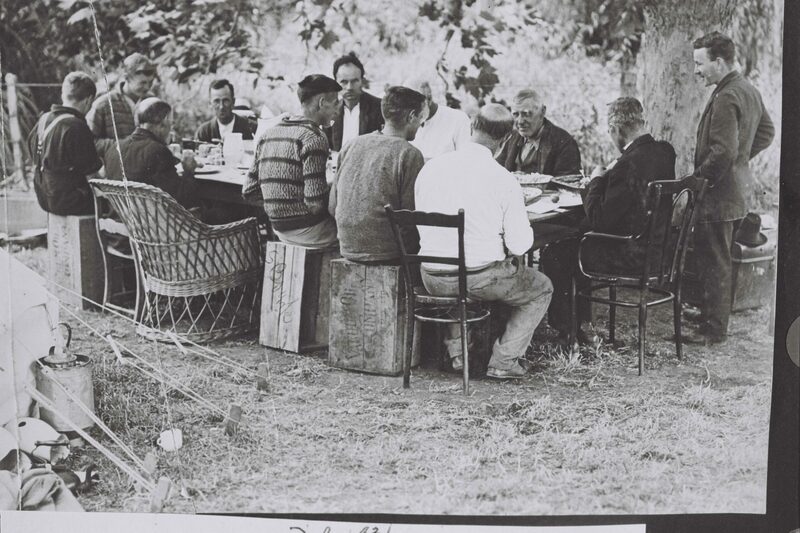 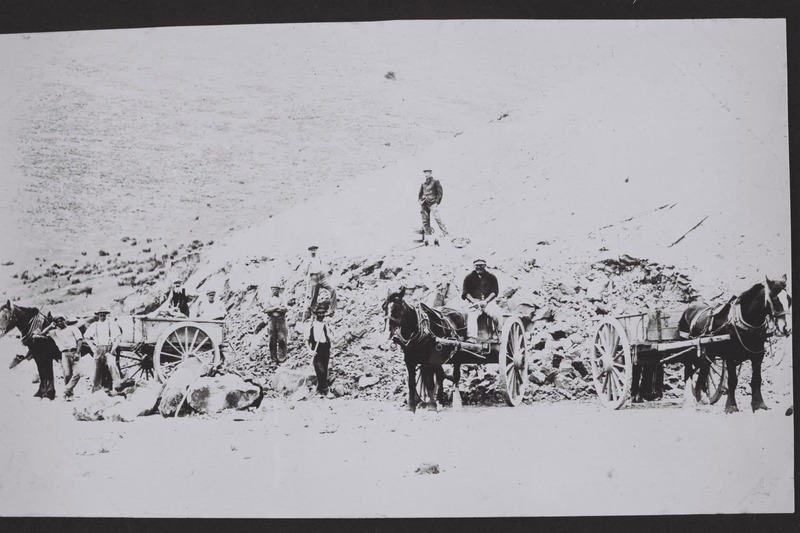 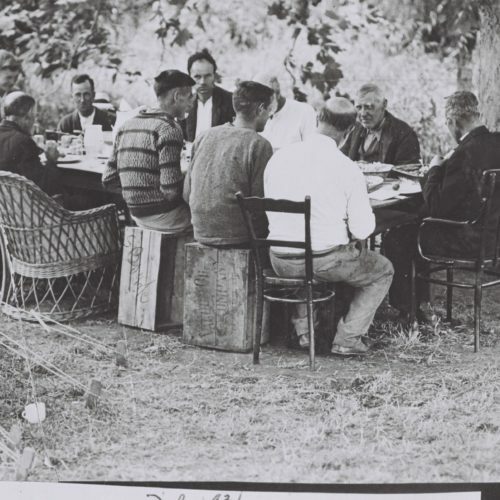 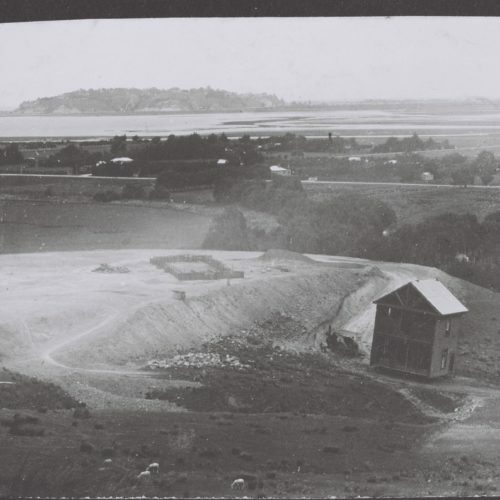 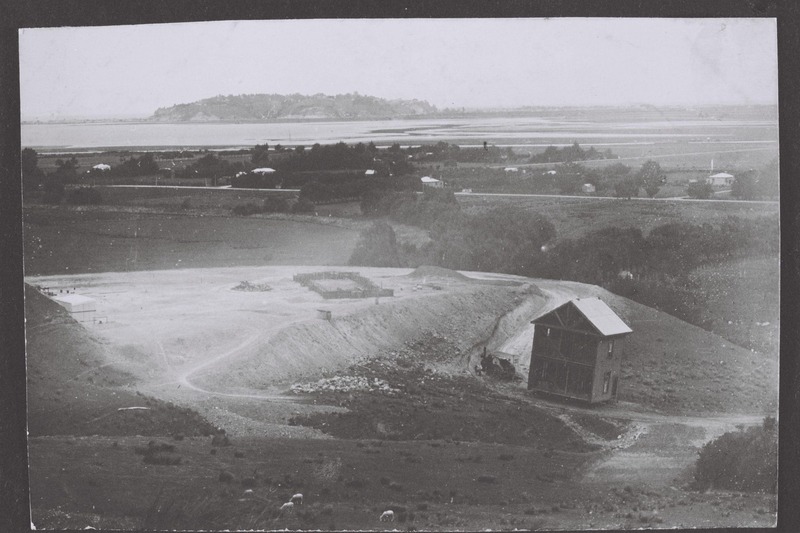 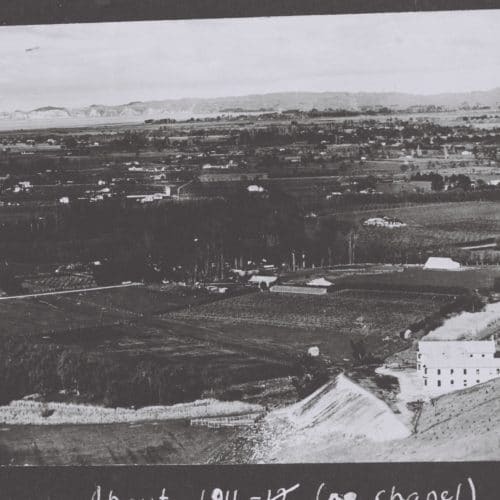 In 1851 the Fathers established a mission station near the Ngaruroro River between Napier and Hastings at Pakowhai and there they followed the tradition of running a balanced farm property with fruit trees, cattle and a vineyard. 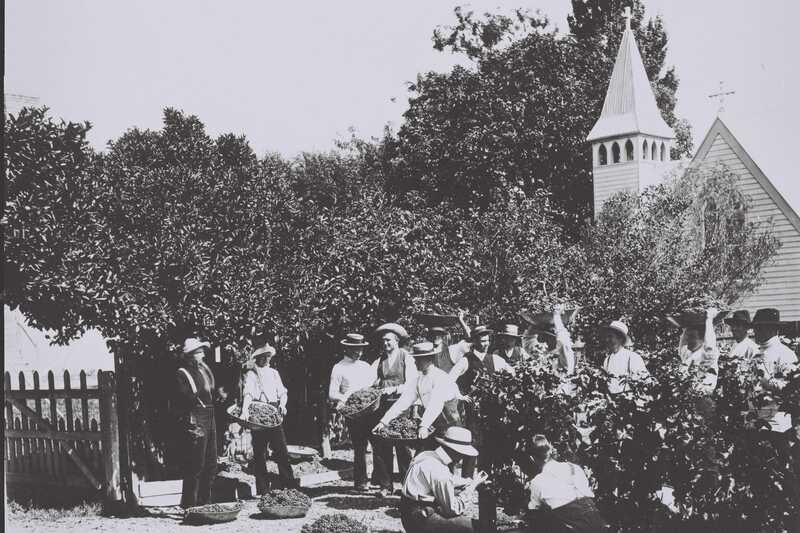 In 1858, the missionaries moved to land they had purchased at Meeanee and a major community was established. 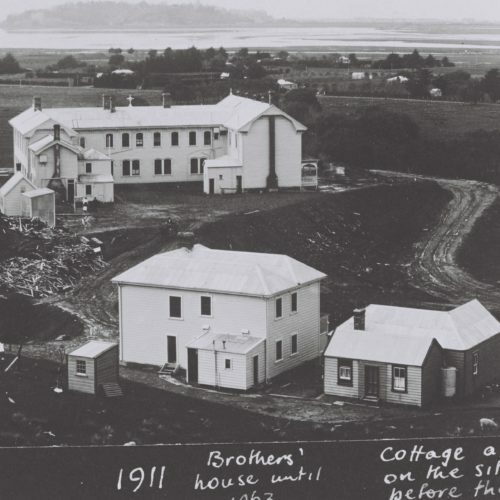 A cottage for living quarters was transported from Pakowhai and later a Church, school and study halls were built. Vines were planted to produce both sacramental and table wine to continue their wine-drinking tradition. 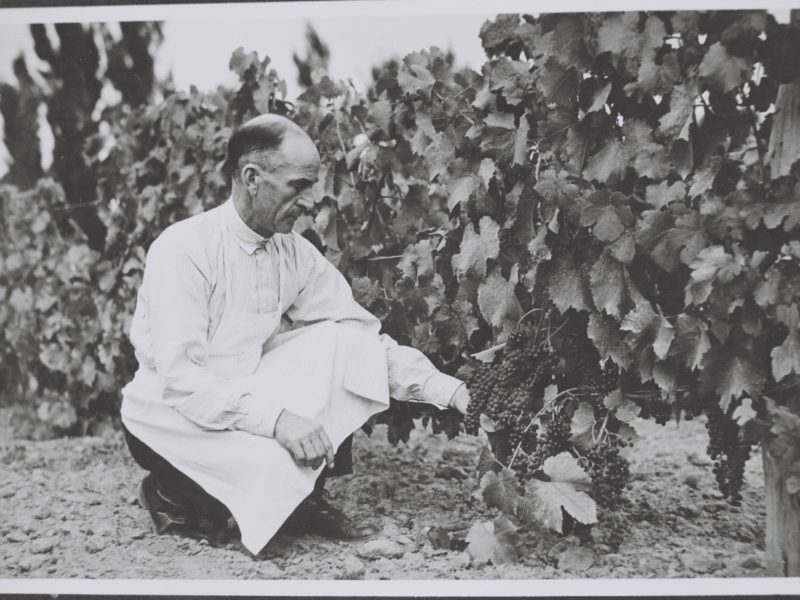 In 1870 Brother Cyprian Huchet, the humble son of a vigneron from the Loire Valley rose to the exalted position of Mission Estate Cellar Master and oversaw New Zealand’s first recorded commercial sale of wine. 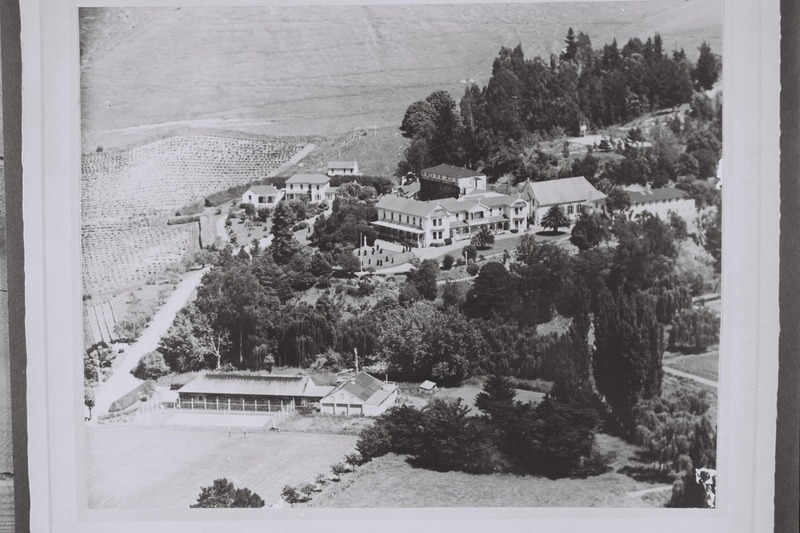 Having grown up amongst the vineyards and wine cellars in France, Cyprian Huchet’s wine knowledge became extremely sophisticated, instilling a wealth of knowledge that lives on at Mission Estate today. 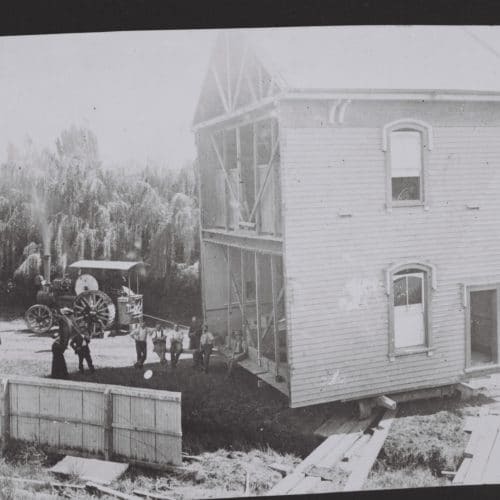 In 1880, a new two-storied house costing 2020 pounds and 10 shillings was built. 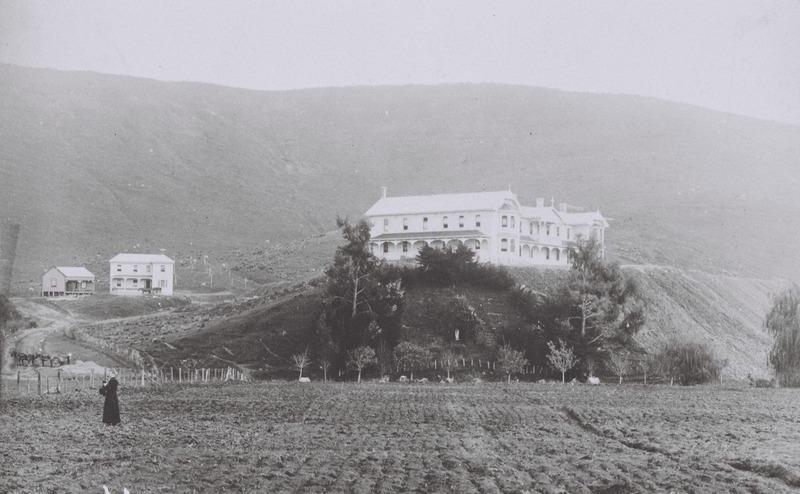 It was known as La Grande Maison or the “big house” and became the home for the early French Marists for three decades. 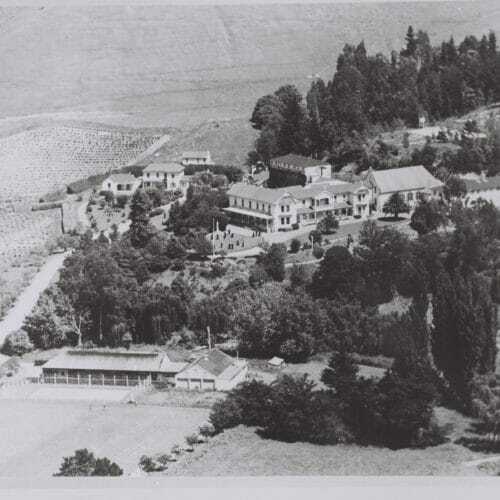 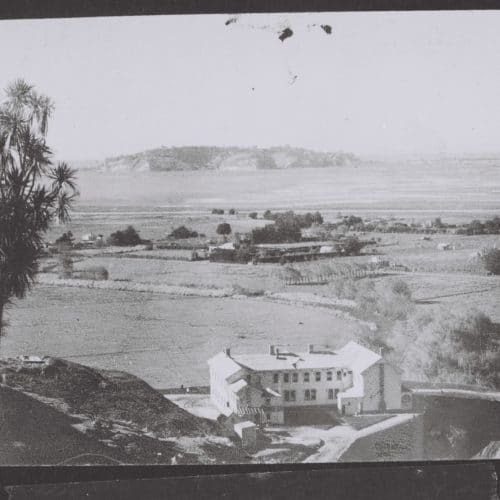 In 1897 the 800-acre Mission Estate was purchased from the Tiffen family. 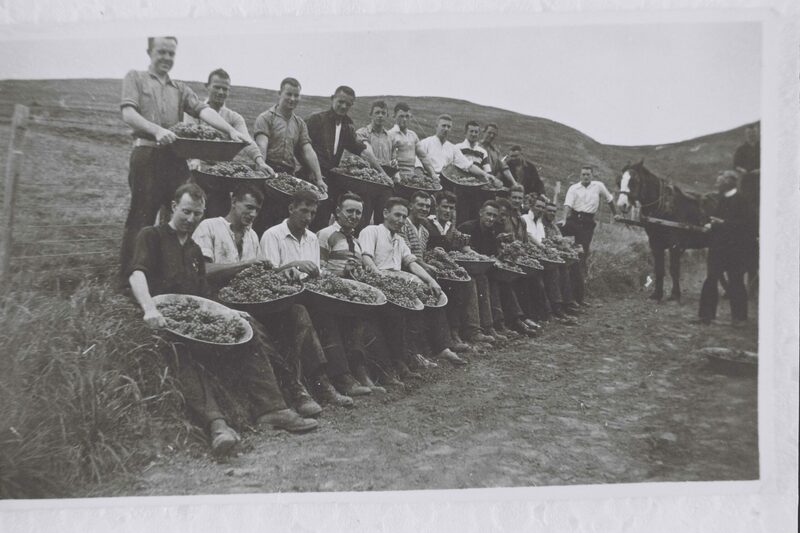 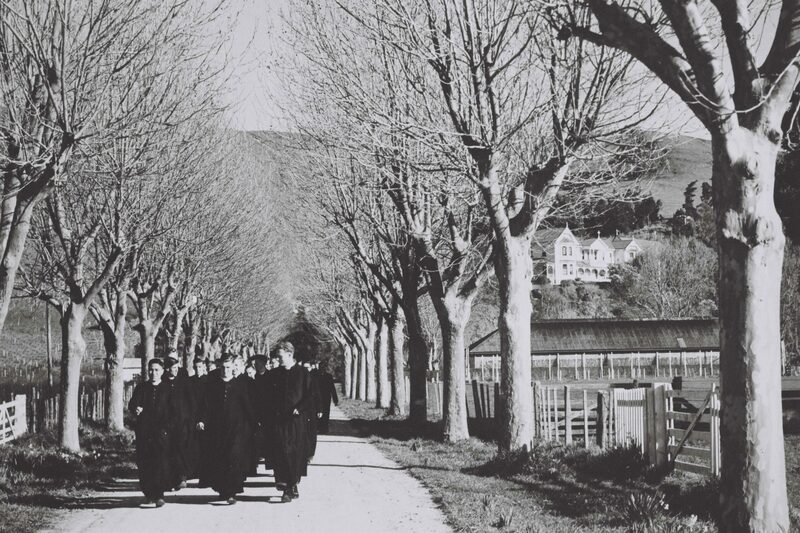 The Marist brothers traveled each day from Meeanee to work the new land where a small orchard and some vines were planted. 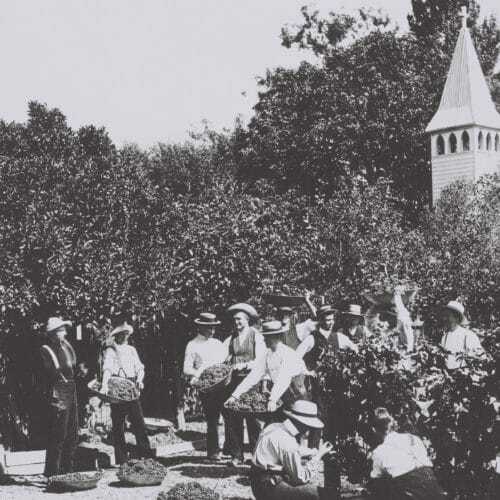 The first grapes were tended on the gently sloping land of the southern spur and the terraced area that is now used for the annual Mission Concert. 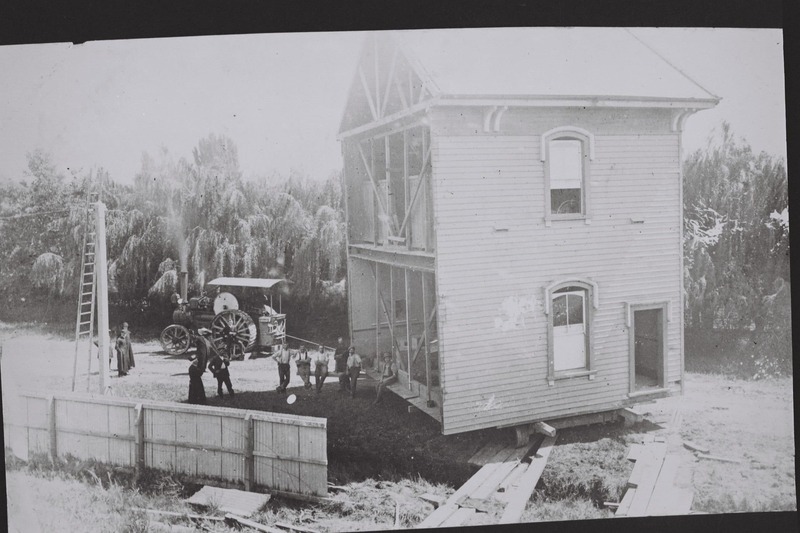 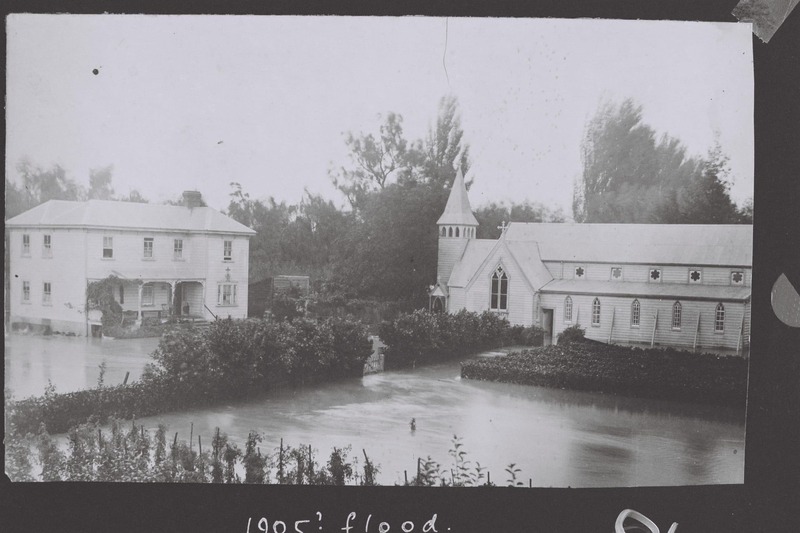 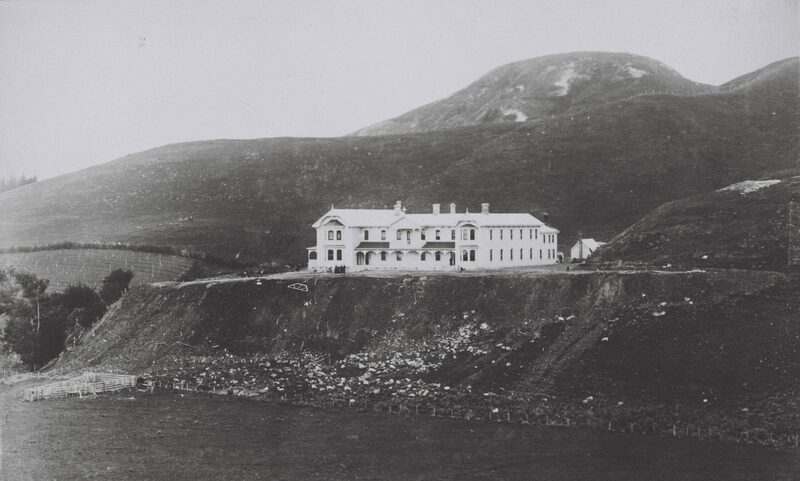 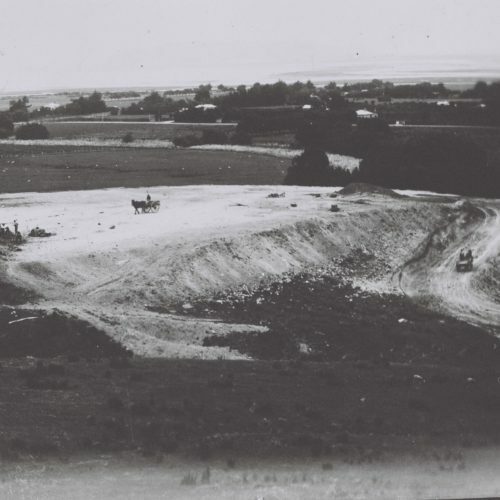 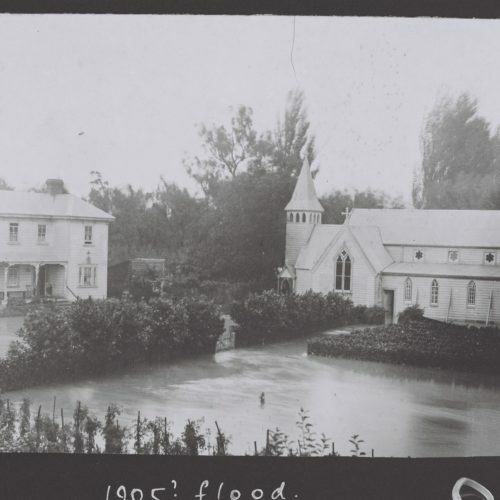 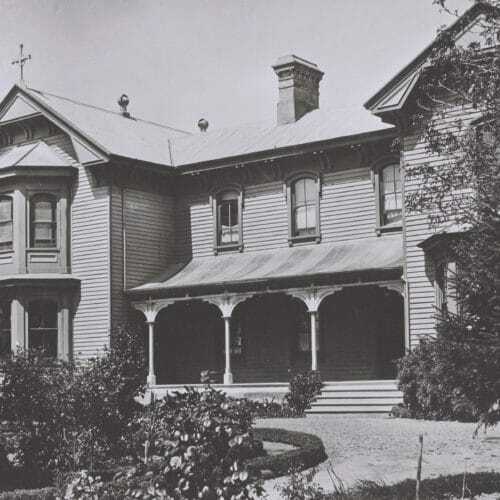 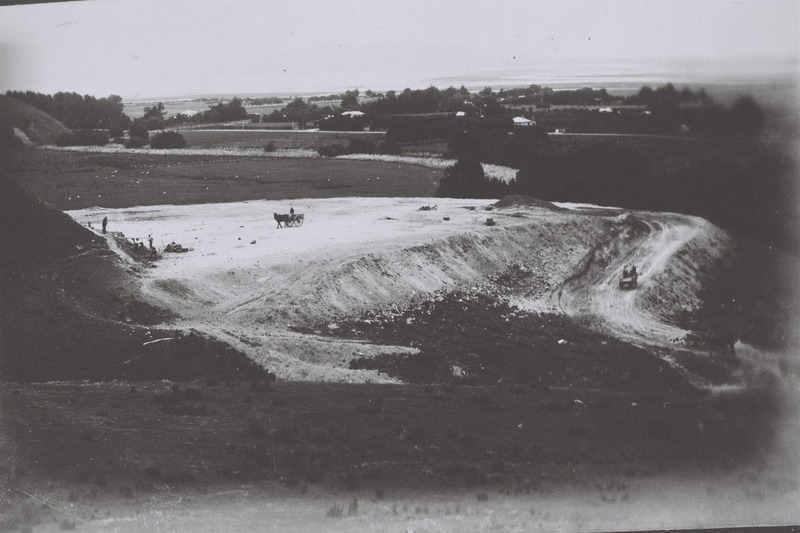 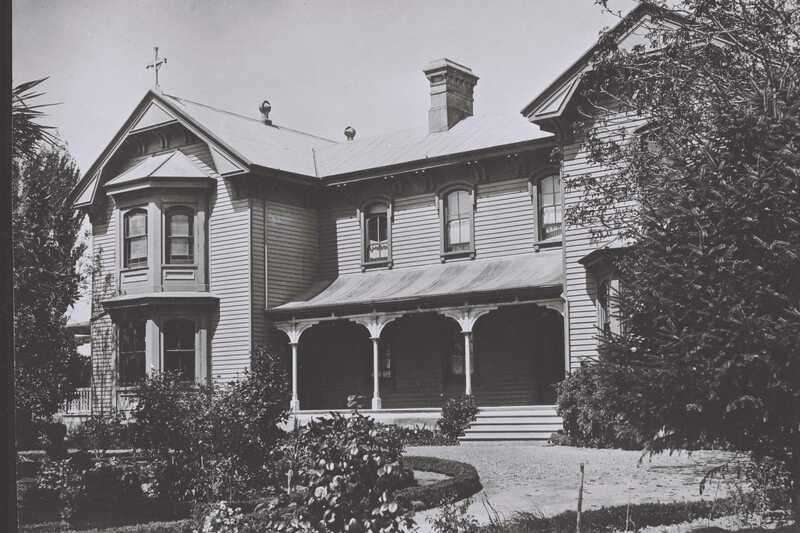 Following a disastrous flood, it was soon realised that the land where the house was located was subject to periodic flooding so in 1909 Father Smythe decided to move the Mission community to the present site. 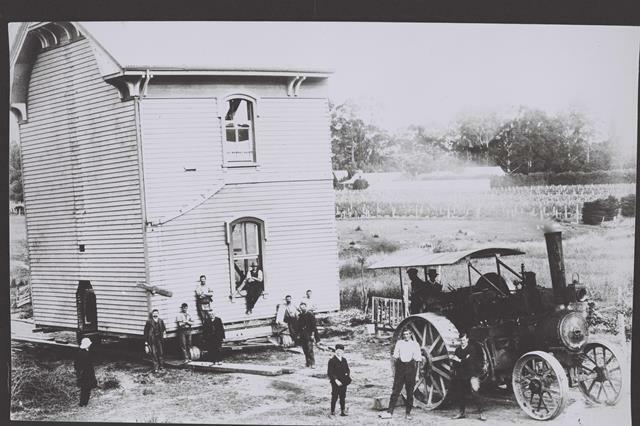 The Mission building was cut into eleven sections and rolled on logs and pulled by traction engines. 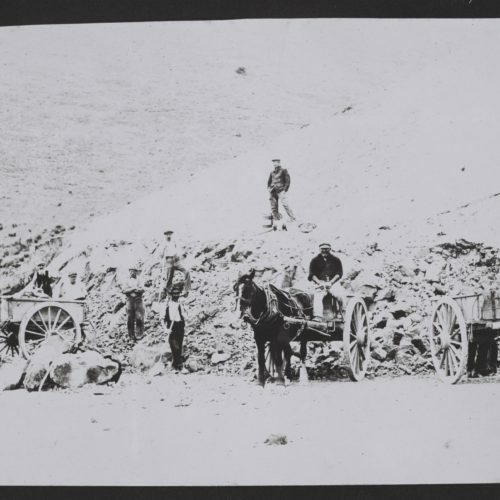 The journey, just under 5kms took two days. 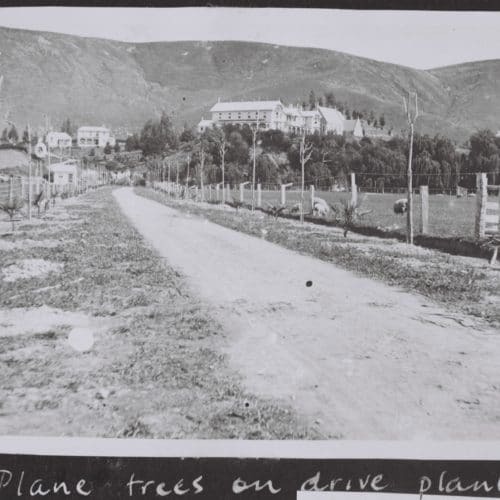 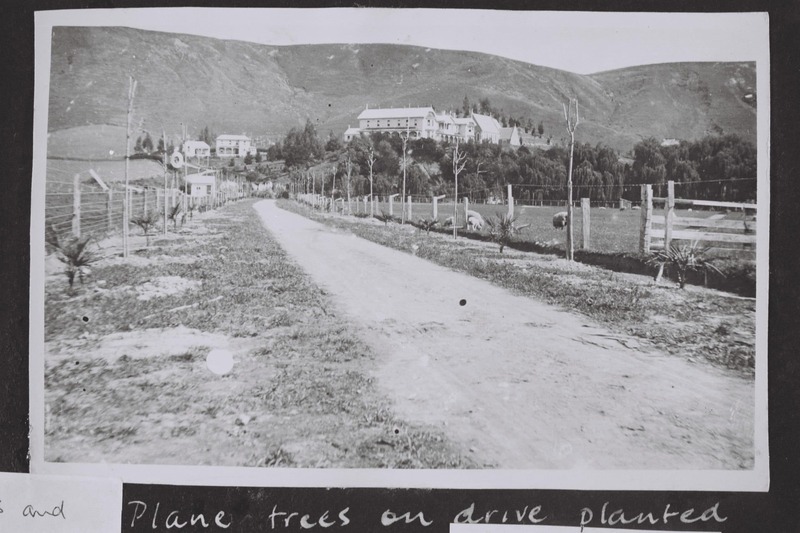 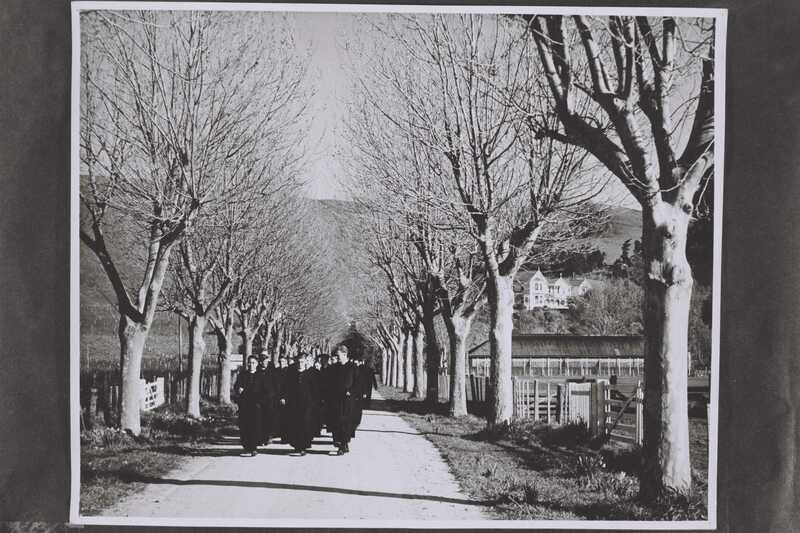 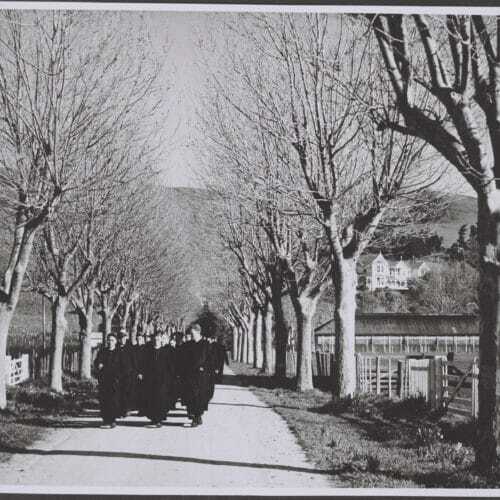 The 57 English Plane trees which still stand today in the driveway were planted in 1911. 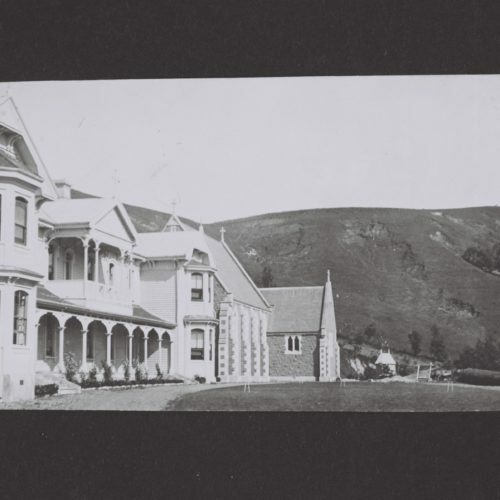 And in 1914 a new Gothic Chapel was erected and named Mount St Mary’s. 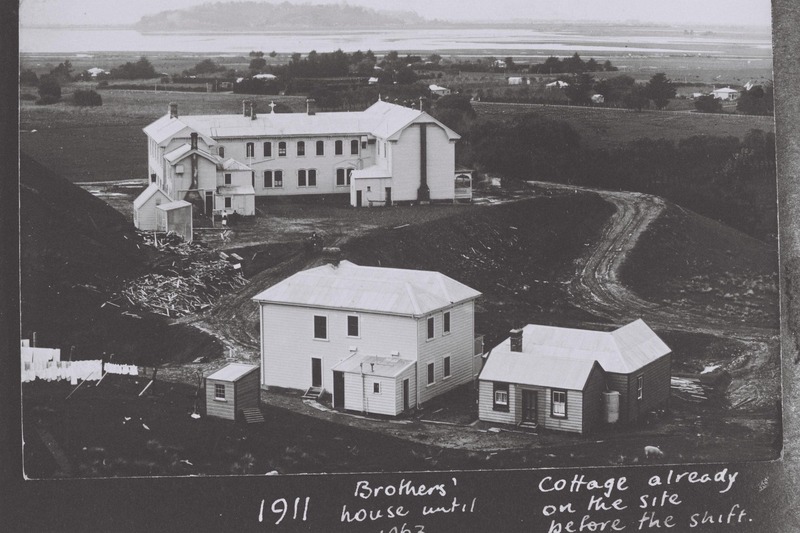 In 1930 a contract was let for the construction of a three-story concrete accommodation block. 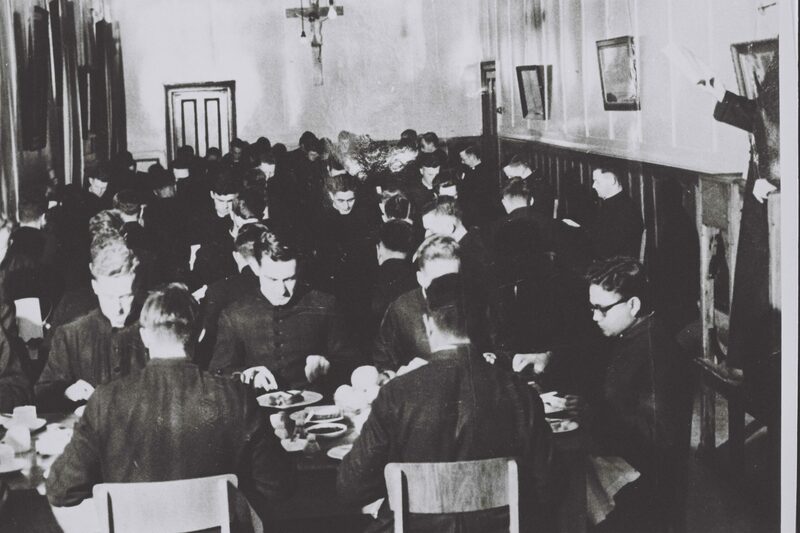 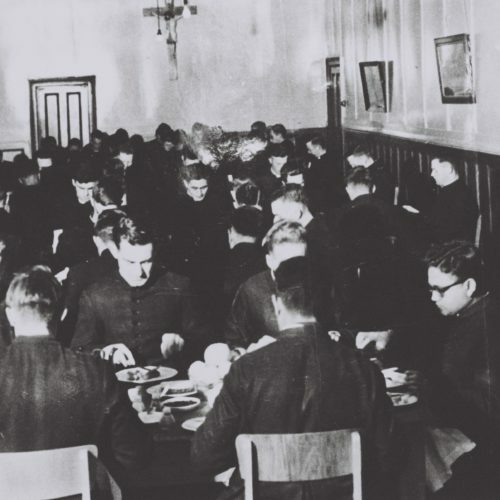 On 2nd February 1931, the students moved into the new building. 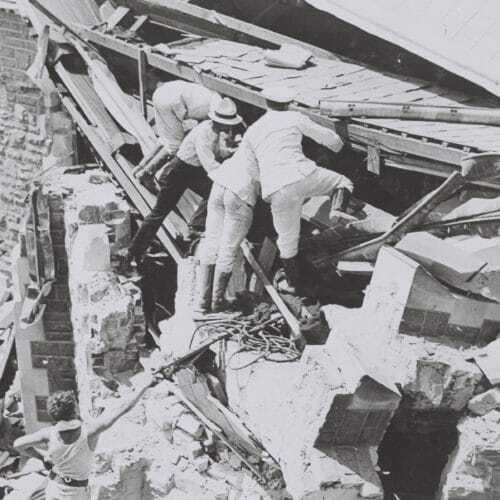 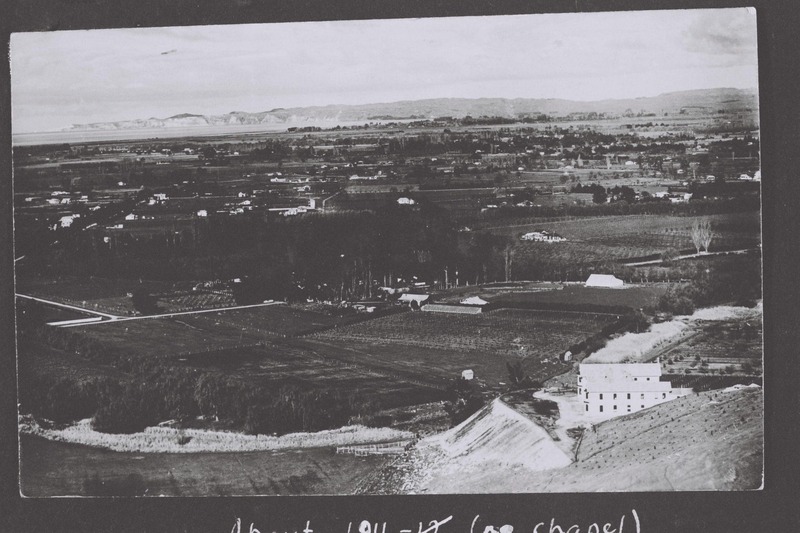 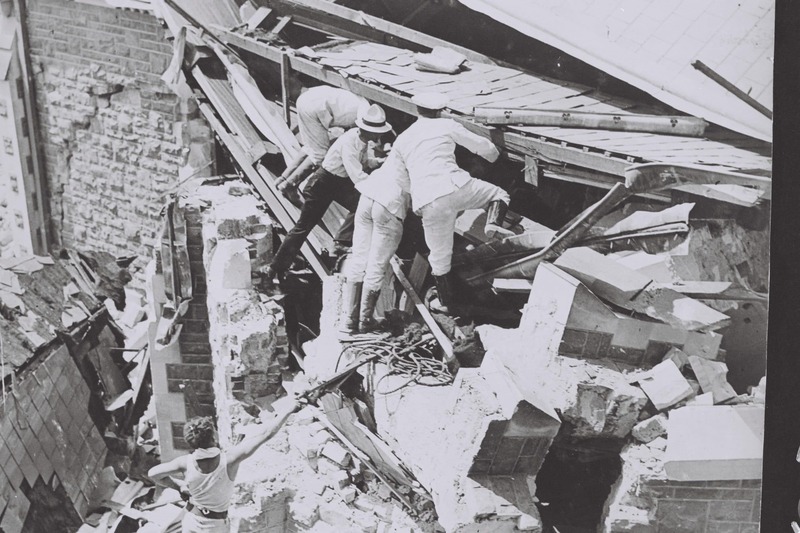 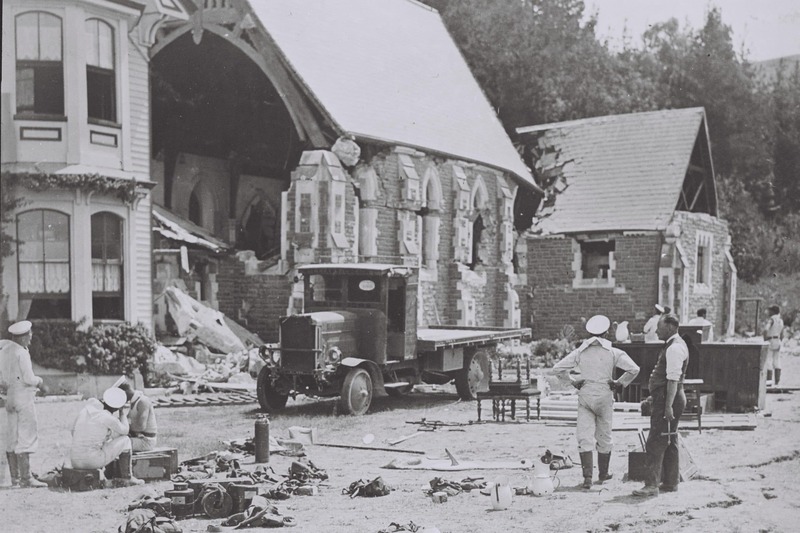 The next morning 3rd February 1931 at 10.47am, an earthquake measuring 7.9 on the Richter scale struck Hawke’s Bay causing serious damage to the region and the entire Mission. 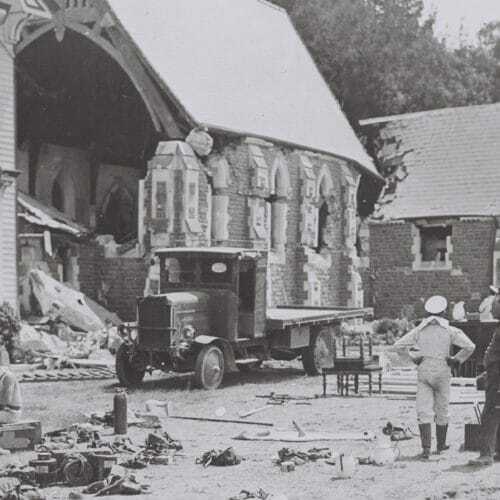 Two priests and seven students who were meditating in the stone chapel were killed when it hit. 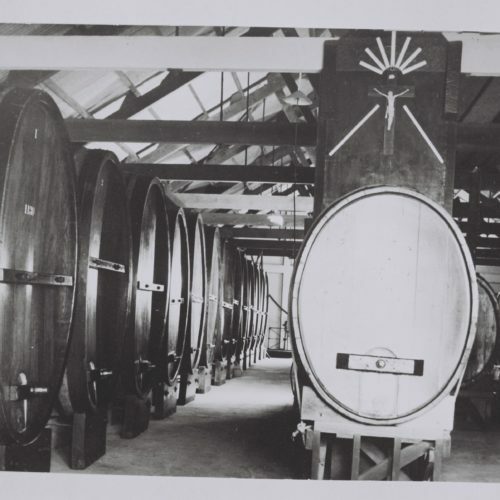 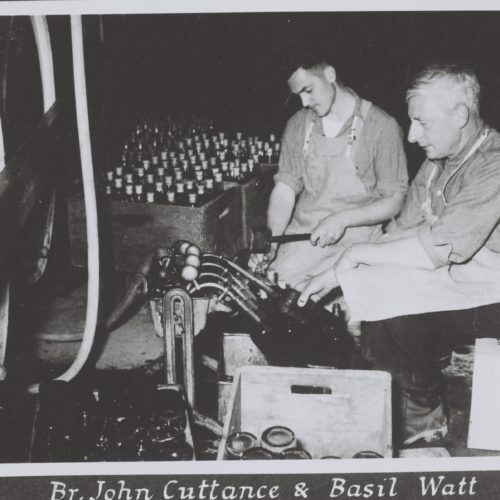 In 2007 the winery underwent a major expansion doubling grape pressing capacity to 2000 tonnes. 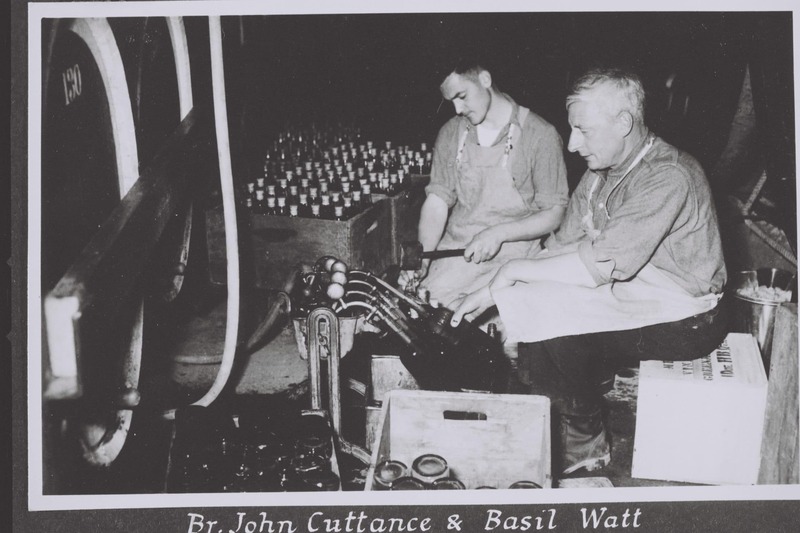 The production facility has been designed to deliver maximum energy and water efficiencies – a vital element in our ongoing commitment to the environment. 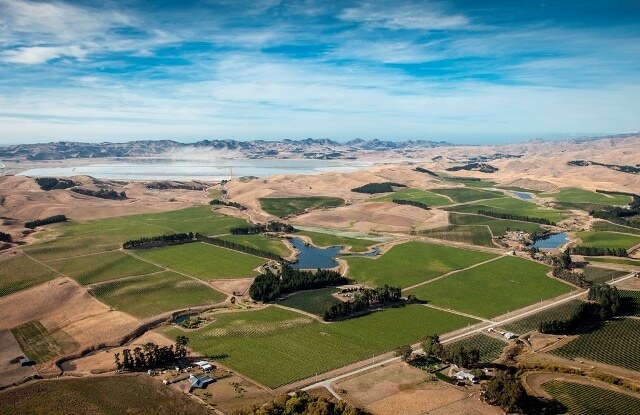 Today, Mission Estate sources fruit from several sub regions, including its own well managed vineyards in Hawke’s Bay and Marlborough, blending old world artistry with the latest technology to produce an award-winning range of distinctly New Zealand wines. 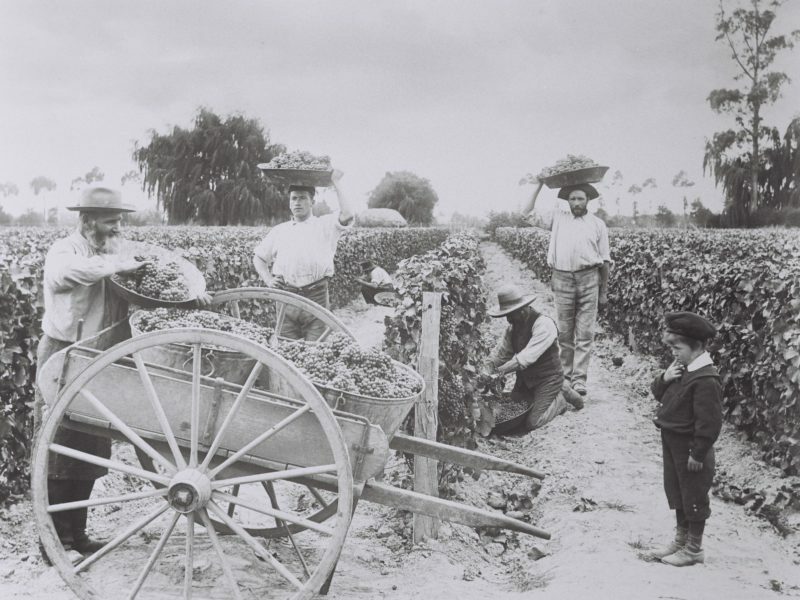 Learn more about the people that make things happen at Mission Estate Winery. 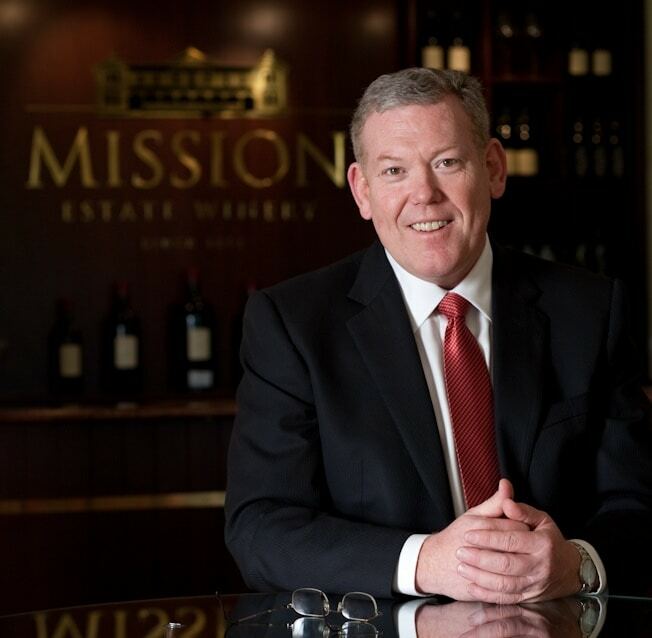 Peter Holley, immigrant from South Africa, has held the position of CEO of Mission Estate since 1996. 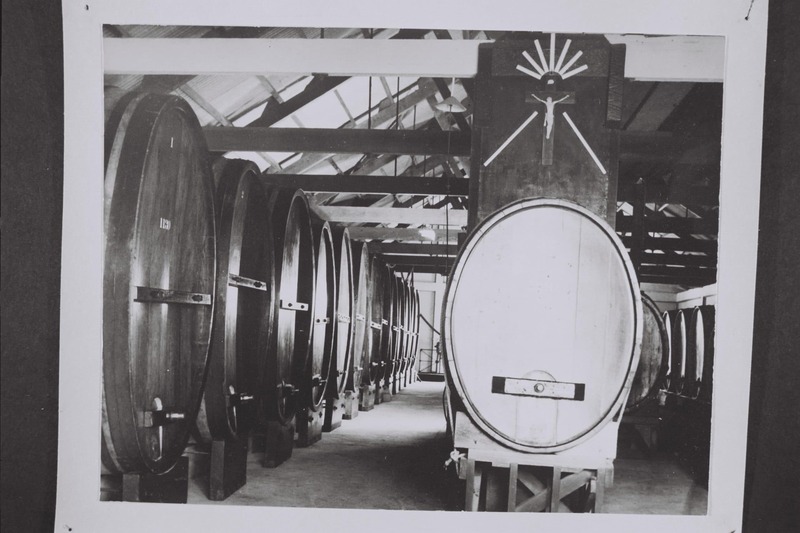 In this role he has had the opportunity of overseeing brand development and the restructuring of the Company into a formidable producer of fine wine. 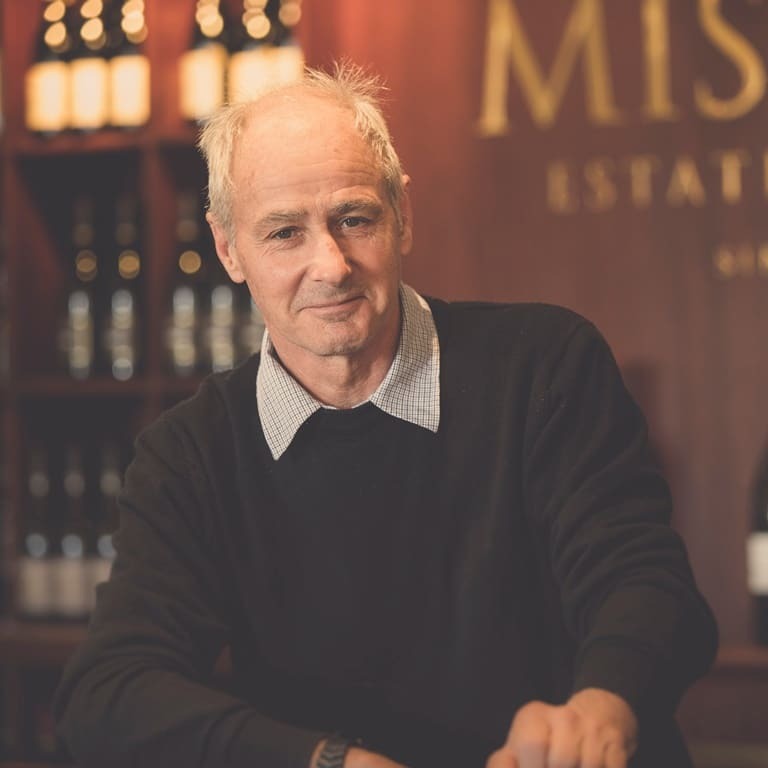 Paul Mooney has been the winemaker at Mission Estate for 40 years, making him one of the most experienced winemakers in New Zealand. Paul’s winemaking philosophies are heavily influenced by his mentor, Brother John, who trained in Bordeaux during the 60’s. 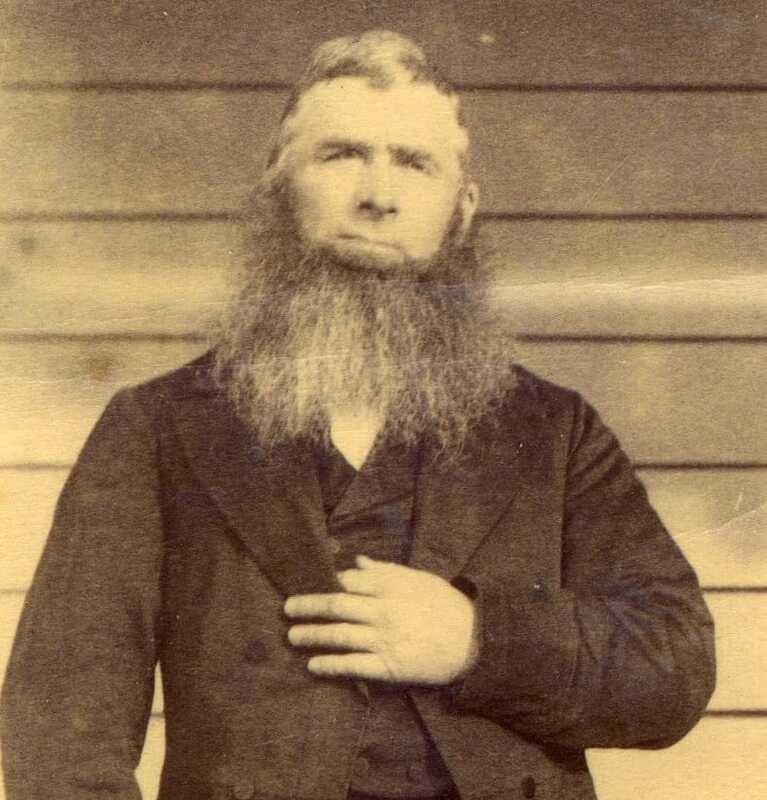 Steve joined Mission in October 2013. 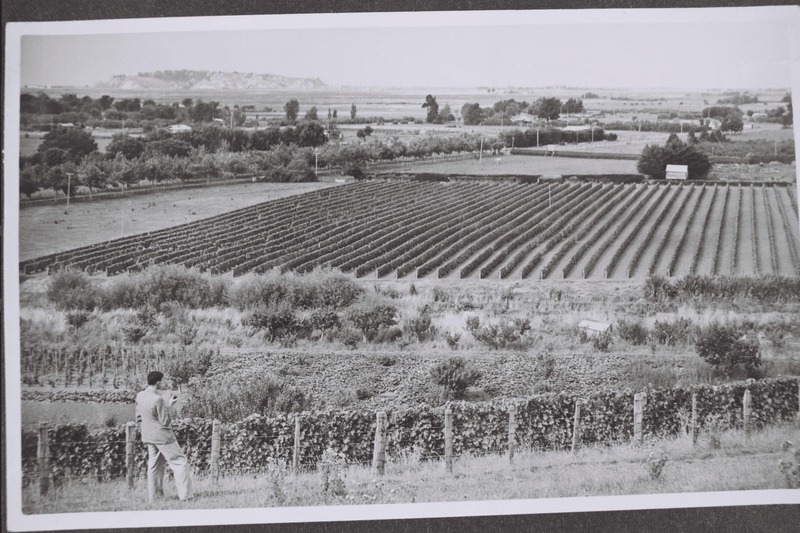 Steve has significant experience in both viticulture and horticulture, holding a Master of Applied Science in Viticulture from Charles Sturt University in Australia and a Bachelor of Horticultural Science from Lincoln University. 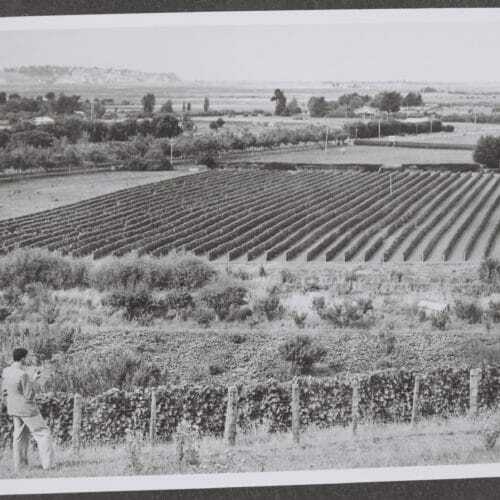 Steve is responsible for overseeing the company’s fruit supply. 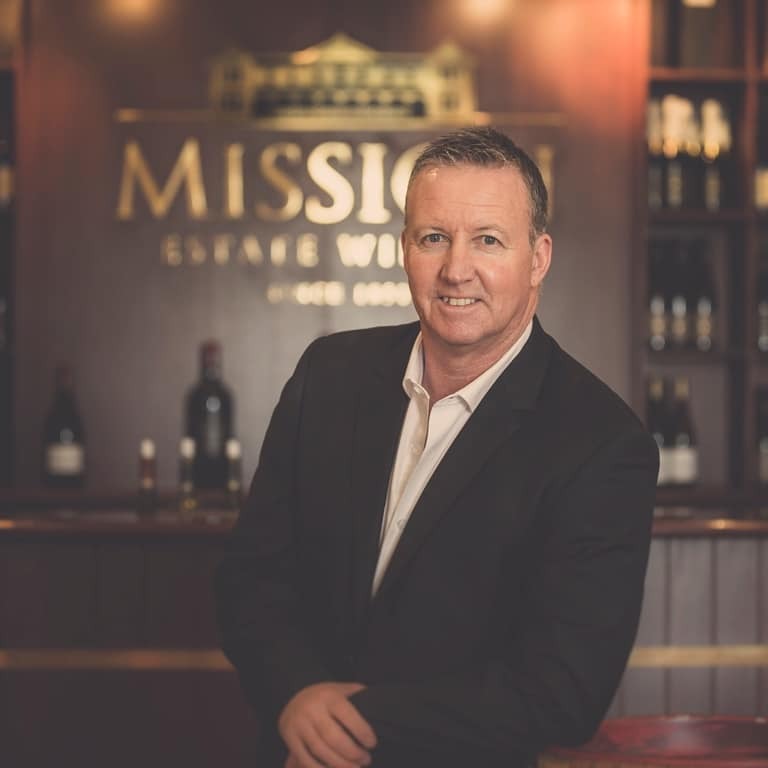 Tony has returned to re-join the Mission Estate Winery team having previously held the National Sales Manager role for 8 years. 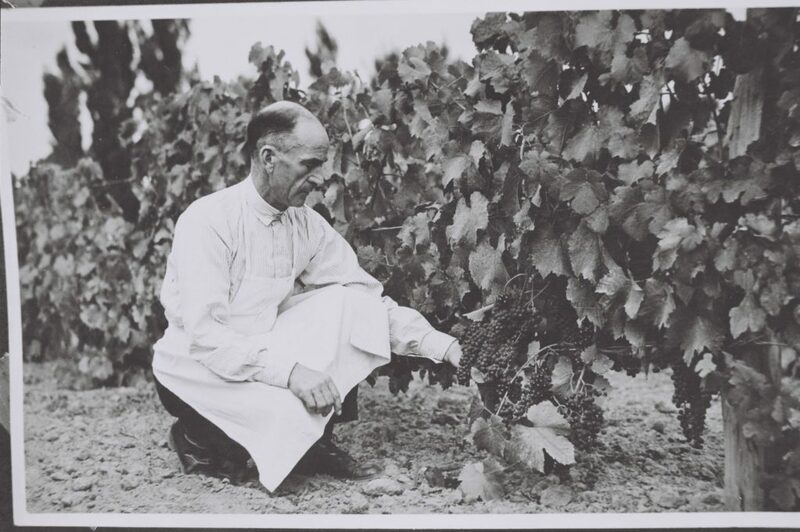 Tony is responsible for all sales throughout New Zealand and our world famous cellar door. 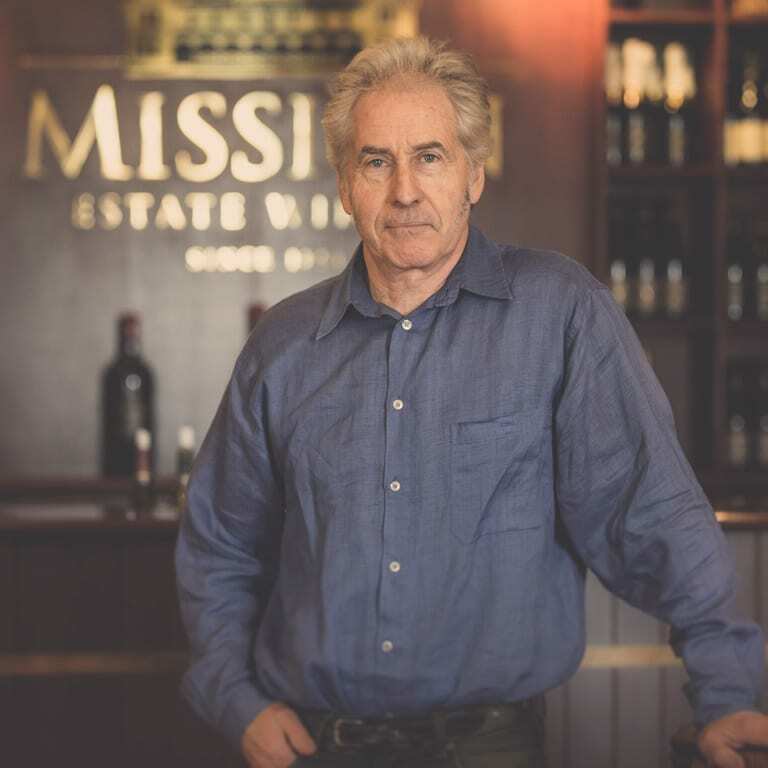 Tony’s favourite wine is a Syrah produced from Mission’s premium Gimblett Gravels vineyard. 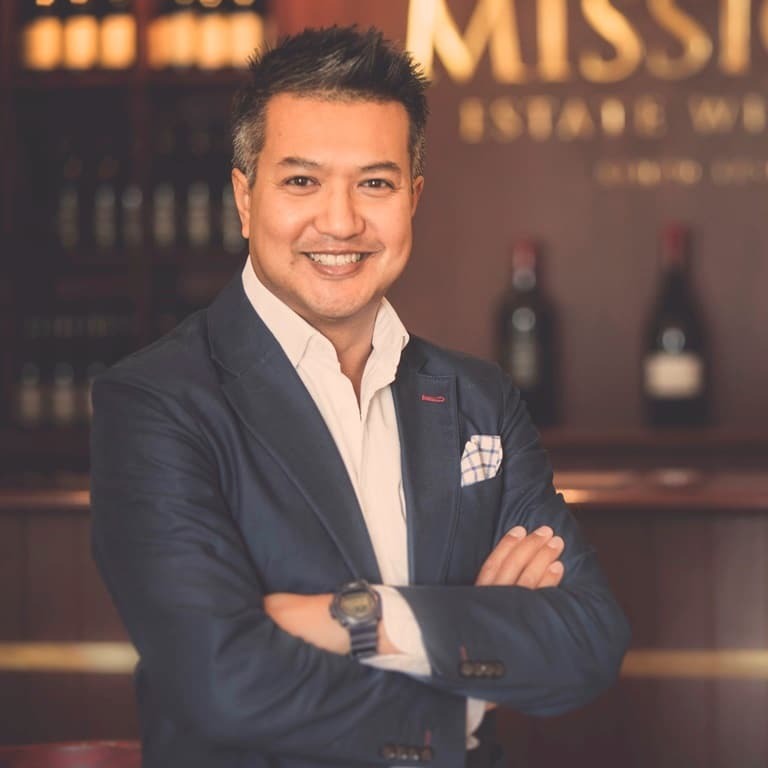 Simon holds a Bachelor of Sciences Honours – Economics (University of York, England), a WSET Diploma and a Postgraduate Diploma in Marketing. 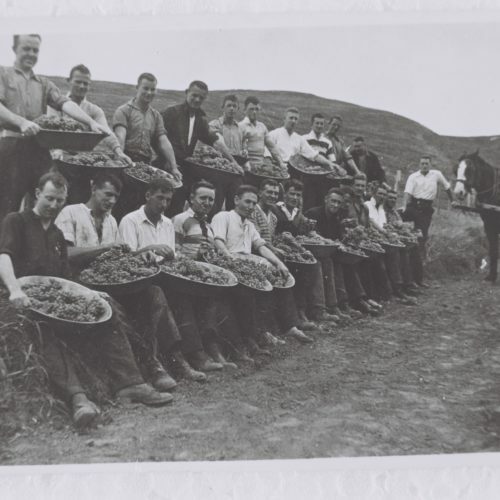 Simon worked in the UK in retail and on premise sales, marketing and brand management. 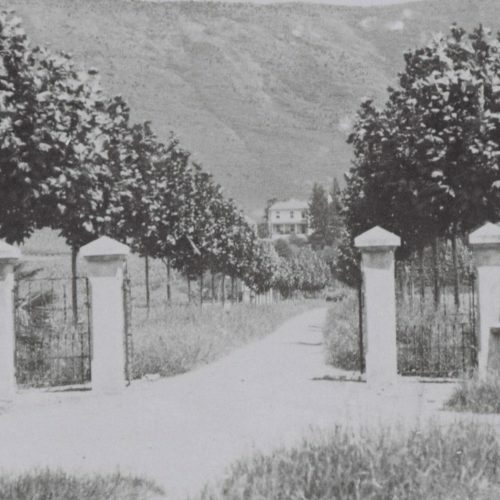 His last position was with Maisons Marques & Domaines Ltd (UK) where he held the position of Marketing Manager. 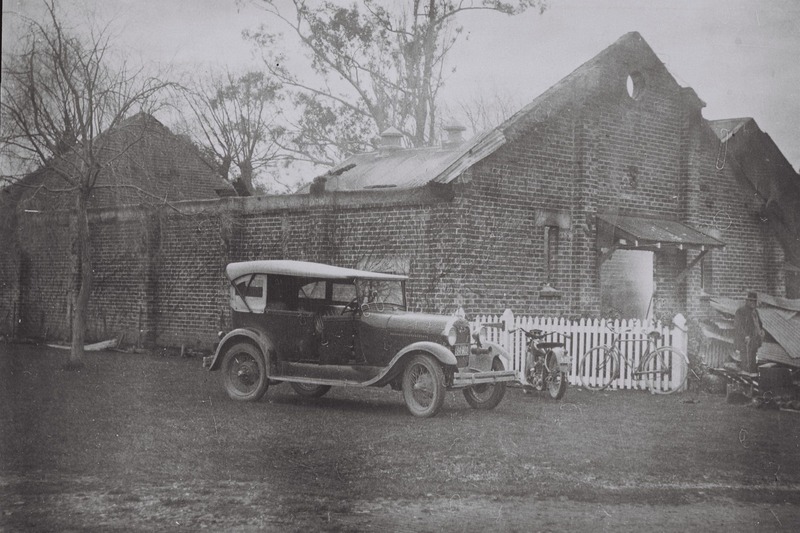 Simon and his family emigrated to New Zealand in August 2007 and he held the position of Export Director at Sacred Hill Wines. 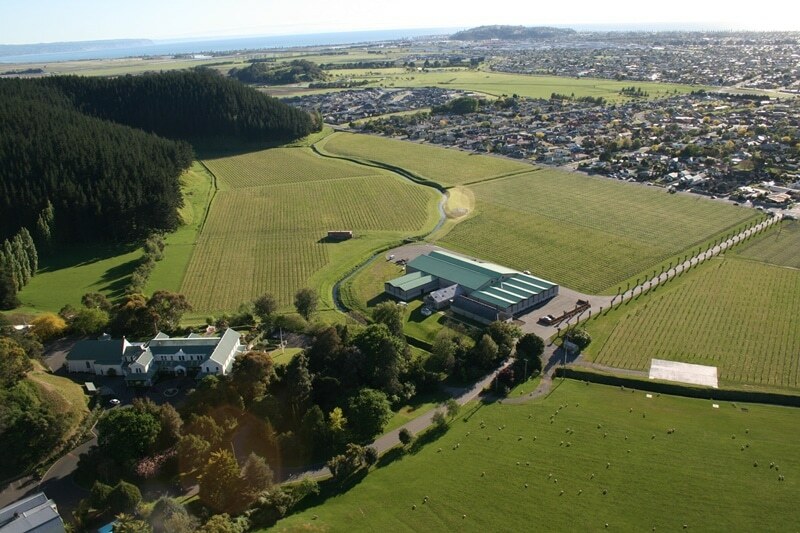 In August 2012 he took up the position of Head of Sales & Marketing Manager at Peregrine Wines. 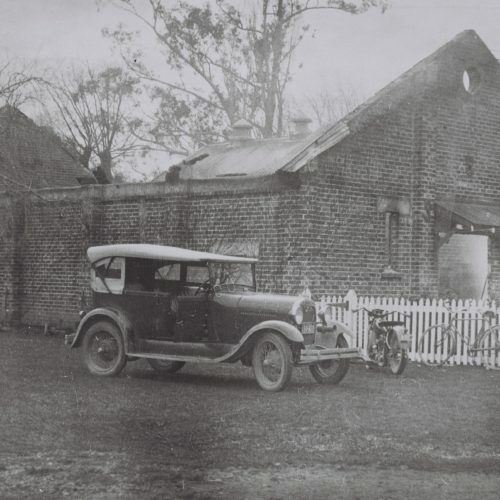 Having trotted the globe, including a five-year stint in the offshore tax haven of the Cayman Islands, Belinda, a native of Wellington, and her north of the Bombay hills husband, decided to bring their young family to Hawkes Bay, having decided it presented all the best things in life, and Hawkes Bay has reportedly delivered! 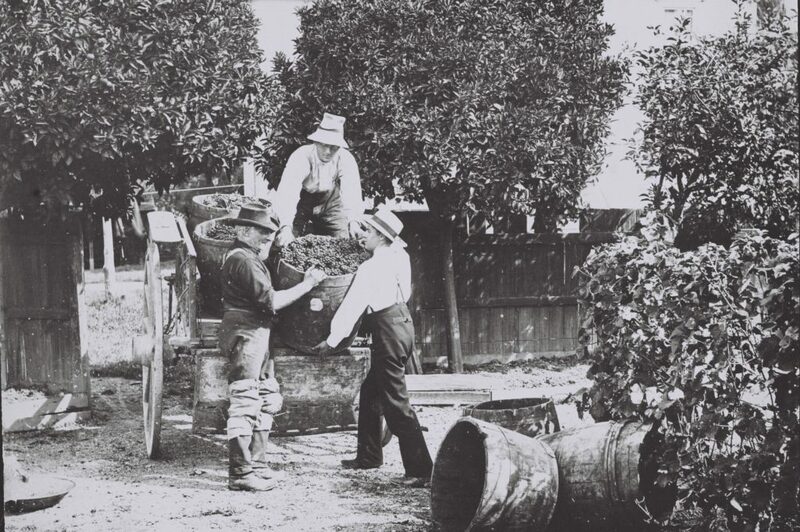 Having honed her financial skills as an Auditor with KPMG, and latterly as a Business Manager for Deutsche Bank Alternative Fund Services, amongst other finance roles, Belinda broadened into horticulture and the fast pace of FMCG with a just completed five-year stint locally, at Apollo Apples and T&G. 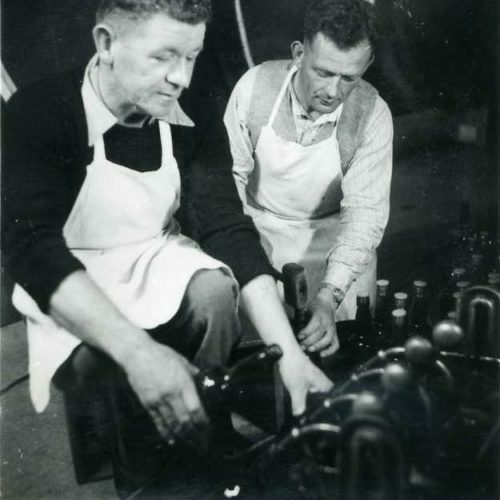 While not completely convinced of the health benefits of swapping apples for wine (the science is inconclusive! 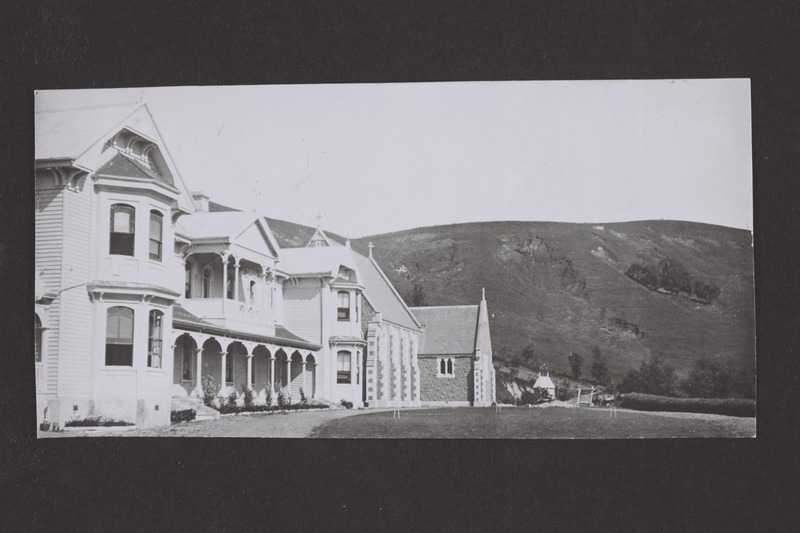 ), Belinda is looking forward to bringing all her global and local experience to Mission Estate, to be part of its growth pathway.